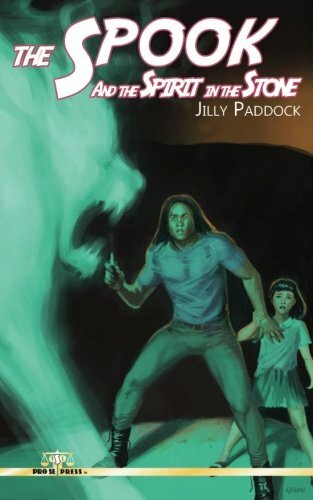 Pro Se Productions announces the release of author Jilly Paddock’s latest volume in one of the most unique fictional universes ever created. THE SPOOK AND THE SPIRIT IN THE STONE is now available in print and digital formats. A nine year-old girl is abducted on a backwater colony world. Bad enough, but Sophie Crispianou is the daughter of the Terran Ambassador and the step-niece of Earth’s President, and the kidnapper has struck before, leaving his previous victim dead. Finding the child falls to Detective Inspector A. Afton Lamont and her new partner, Jerome. The Earth authorities don’t trust the local police to solve such a high profile case and send in some help from Terrapol, an agent with psionic abilities—a spook. Giselle is beautiful but deadly, a mind reader and possibly much more, and her only goal is rescuing the lost child, regardless of the consequences. Can this unlikely team find Sophie and save her before tragedy strikes? Deep in an abandoned mine at the edge of the city, something lurks, something old and evil, woken by the tears of a scared little girl and the cruelty of her captors. Jerome crosses its path, but Jerome has his own secrets and he isn’t exactly human. Can he defeat the Spirit in the Stone? THE SPOOK AND THE SPIRIT IN THE STONE by Jilly Paddock (DEAD MEN RISE UP NEVER). From Pro Se Productions. With an atmospheric cover by Adam Shaw and logo design and print formatting by Marzia Marina and Antonino Lo Iacono, THE SPOOK AND THE SPIRIT IN THE STONE is available now at Amazon at https://www.amazon.com/Spook-Spirit-Stone-Jil…/…/ref=sr_1_1… Pro Se’s own store at www.prose-press.com for 10.00. This out of this world collection is also available as an Ebook, designed and formatted by Lo Iacono and Marina for only $2.99 for the Kindle at https://www.amazon.com/…/dp/B07441NJ5R/ref=tmm_kin_swatch_0… is also available for free on Kindle Unlimited to Kindle Unlimited members.